A fabulous country house hotel and self catering accommodation with amazing food that is also dog friendly. 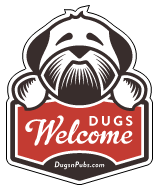 There are a total of 2 dog friendly listings in the Sanquhar category. Please log in, or sign up as a member to view all listings.